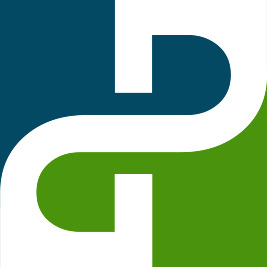 The Pedowitz Group (TPG) is a Revenue Marketing agency headquartered near Atlanta, GA. We help our clients change marketing from a cost center to a revenue center. Regardless of where you may be on your Revenue Marketing Journey, we provide solutions, services and expertise that will get you to the next level and beyond. Pedowiz Group Marketing Operations helps organizations provide a transparent, efficient and accountable view of marketing. Pedowiz Group Marketing Operations helps clients wrestle with the issues of what belongs in Marketing Ops, and what doesn’t; what services are best centralized versus those that can be distributed to field offices. We provide Marketing Operations role clarity and guidance on MBOs, team goals and charter. The Pedowitz Group is a three-time Marketo Partner of the Year and has 17 customers that have won Revvie Awards. The Pedowitz Group's intimate knowledge of the technology combined with our understanding of best-practice strategy and execution tactics allows us to provide these best-in-class Marketo services. Through onsite training and thorough documentation of your current configuration and processes, your team will be ready to run with Marketo shortly after configuration. The Pedowitz Group is one of the original Salesforce partners. The Pedowitz Group's intimate knowledge of the technology combined with our understanding of best-practice strategy and execution tactics allows us to provide these best-in-class Salesforce Consulting Services.